Throughout the past decade we have had the opportunity to work with a lot of wonderful businesses and a ton of amazing people. In this time we have been asked to complete small jobs, large jobs, and everything in between, and we are proud to say that we've always met and exceeded our customers expectations. Below you'll find examples of our work, illustrating the quality and customer service we are known for. Southern Tier and Victory Brewing teams welcome you to the Brewers at 4001 Yancey- a place where craft beer enthusiasts and brewers alike can celebrate all that is great about beer. Located in the historic Bowers Mill building, the Brewers at 4001 Yancey will feature brews by both Southern Tier and Victory. New offerings from both brands will be innovated, brewed, tested in the taproom and launched for the Charlotte market. Unbeatable taste. Unbeatable atmosphere. We’re opening soon so come grab a glass and see for yourself how the Brewers at 4001 Yancey are pouring an unbeatable experience. 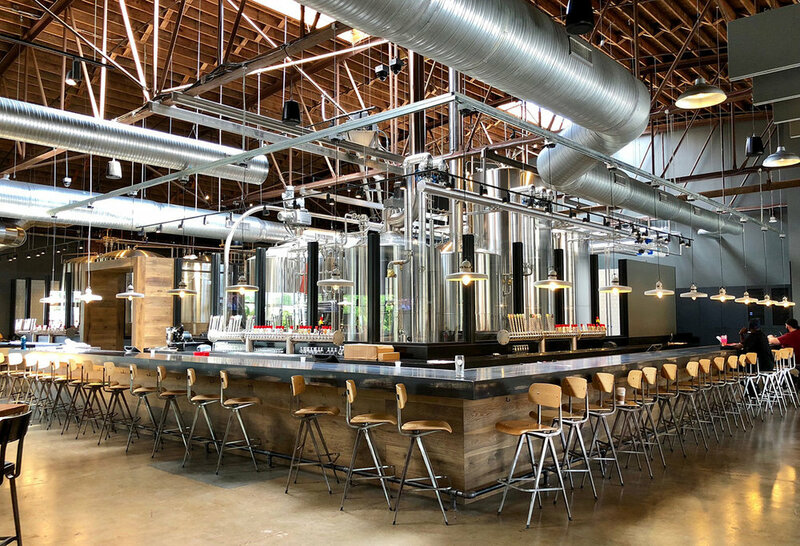 In the Spring of 2018 we were given the opportunity to work with one of Charlotte's newest transplants, Brewers At 4001 Yancey. Owned by Artisanal Brewing Ventures (ABV), this huge facility both brews and bottles a wide assortment of tasty beers under the well known brands Southern Tier Brewing Co and Victory Brewing Co. Along with brewery tours and a bottle shop they also have a tasting room offering not only beer but great food and atmosphere as well. With their scheduled opening date quickly approaching, Exact Marketing Services was able to help with some of their graphic design and all of their printing needs. In a few weeks –and a couple of times within a few hours– we were able to supply Brewers At 4001 Yancey with food menus, drink menus, directional signage, vinyl window decoration and printed labels/tags for some of their clothing. Today we are happy to call both Brewers At 4001 Yancey and ABV business partners and friends.